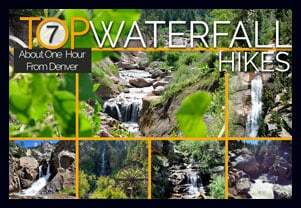 The Meyers Homestead Hike located in Walker Ranch is an almost perfect family hike near Boulder, Colorado. 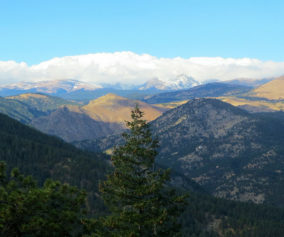 This 5.2-mile out-and-back hike travels through Meyers Gulch, past the remnants of a historic homestead, to an overlook offering panoramic views of Boulder Canyon and the snowcapped mountains of Indian Peaks. 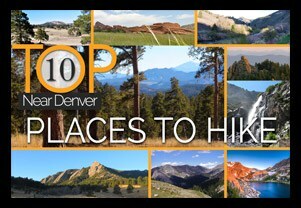 It’s a wide trail through meadows, stands of aspen, and punctuated by ponderosa pine and wildflowers. 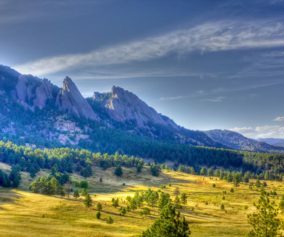 Explore the full Meyers Homestead hike profile below for trail map, driving directions, and more tips and details to help you enjoy this trail near Boulder. The drive to Meyers Homestead Trailhead starts on the Baseline Road in Boulder. Traveling West past Chautauqua Park, the road will turn into Flagstaff Road at the base of Flagstaff Mountain and begin a windy and steep ascent. The overall trip on Flagstaff Road to the trailhead is about 6.2 miles. The Myers Homestead Trailhead is located on the right (West) side of the road. Restrooms, picnic area, and interpretive signs are available at the trailhead. 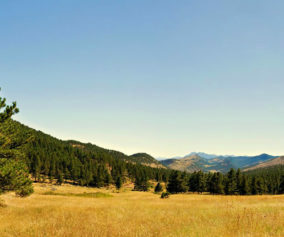 The hike starts from the Meyers Homestead Trailhead by taking the trail on the right marked with a sign that reads “Meyers Homestead Trail – 2.6 Miles One-Way.” The initial trail segment descends into a broad meadow. Around just 1/4 mile into the trail, you’ll spot the remnants of a sawmill, part of the original Meyer Homestead. There is a spur trail that leads to a mill. Once past the sawmill, the trail begins a very gradual ascent and follows a small seasonal creek into the Meyer Gulch. 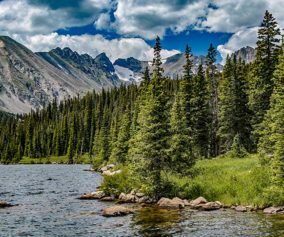 Starting at around 1/2 mile in, the trail will begin to weave in and out of groves of aspens and ponderosa pine, providing intermittent shade on a hot summer day. The trail will eventually open to another large meadow before entering the final, wooded and steeper 1/2 mile. This segment of switchbacks leads to a small unnamed peak with a bench and overlook. 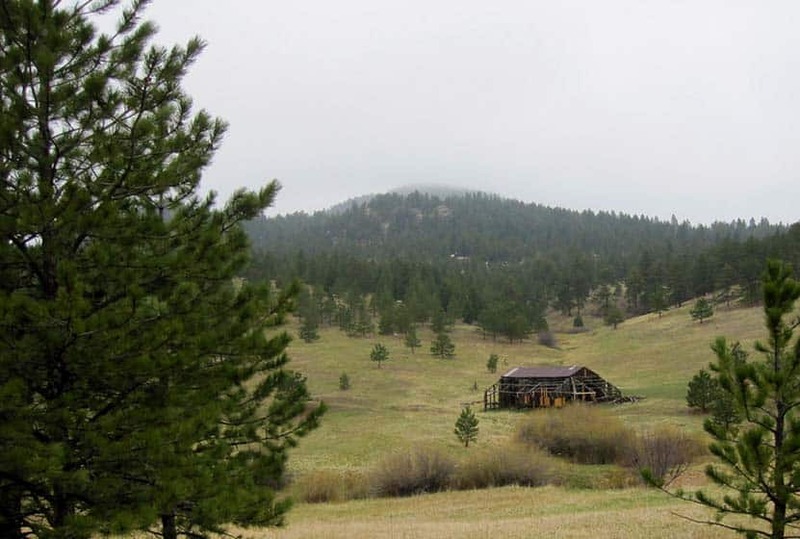 Here, you can take in views of Sugarloaf Mountain, Indian Peaks, Longs Peak, and Boulder Canyon. 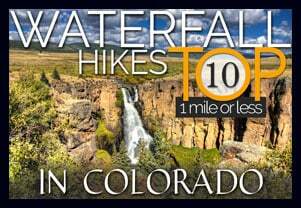 A great related hike is the Eldorado Falls hike that is also part of the Walker Ranch Trail system. TIP: Pause to read thee interpretative signs along the trail to indicate places that have historical and ecological significance. Photo: We would like to express our gratitude to Ian W. Stearns for sharing such amazing photographs of this hike to Meyers Homestead.